Employees at Jaguar Land Rover have this month donated a new Land Rover Discovery Sport to Birmingham based first aid responders, FastAid. The life-saving vehicle is the 20th to be handed over to good causes across the Midlands and Merseyside thanks to a unique employee driven charity which has also donated £244,500 to local community groups and charities in the last four years. FastAid is a Community First Responders (CFR’s) organisation supported by 40 volunteers across Solihull and Birmingham. All volunteers are trained to a national medical standard to enable them to be first on scene following 999 emergency calls to West Midlands Ambulance Service. 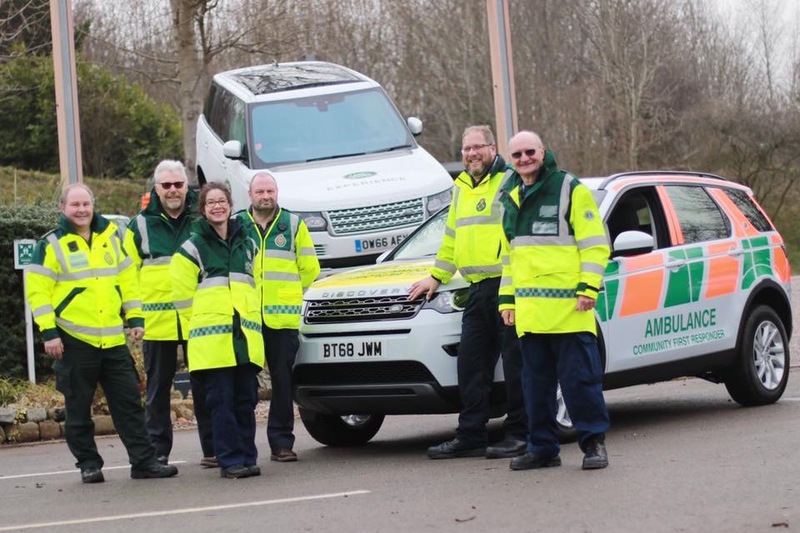 The donated Land Rover Discovery Sport will enable CFR’s to reach patients typically within 10 minutes of an emergency call, providing critical clinical care and reassurance to patients and their relatives. In life threatening emergencies minutes can make all the difference and the ability to reach patients quickly is paramount. The donation of this life-saving vehicle was made possible by a unique engagement scheme which allows employees to donate a car to a local charity each quarter on condition of meeting attendance improvement targets. In the last four years, the scheme has donated over £244,500 and 20 Jaguar and Land Rover vehicles to good causes including Midlands Air Ambulance, Guide Dogs for the Blind, Gro-Organic and Troop Aid. The Discovery Sport was handed over to a team of volunteers at a special event held at Jaguar Land Rover’s Solihull plant, home to FastAid volunteer and Jaguar Land Rover Experience instructor Jeff Way, known at FastAid as RC176. Jeff, who has been a CFR volunteer for over 10 years, with 2,400 hours service under his belt, regularly attends 999 emergencies and has been awarded a Chief Officers Commendation for delivering CPR on a 5 week old baby, saving the newborn’s life. Jeff said: “I started volunteering in my community after witnessing a tragic fire at a neighbour’s house 15 years ago. I decided then that I could do more to help my community. “As a Jaguar Land Rover Experience instructor, and a huge Land Rover fan, I’m so proud of this Discovery Sport donation to FastAid”. Terry Flower Chairman of FastAid said: “On an average month we attend approximately 200 emergency calls, supporting with more than 1,000 volunteering hours. “By donating this car to FastAid, Jaguar Land Rover employees are supporting our life-saving work in the heart of the local community. “The Discovery Sport will enable our volunteers to reach an emergency situation quicker, even in hard-to-get-to places, and save the charity thousands of pounds which can be invested into training and life-saving equipment. In a serendipitous twist, the maiden voyage of the donated Land Rover Discovery Sport was to a 91 year old local man that worked for “The Rover” at Solihull for over 40 years.